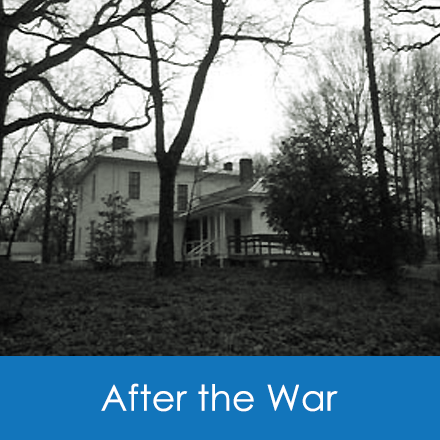 The Carolina Room Staff of the Charlotte and Mecklenburg Library has created this exhibit to tell the story of the city and county during World War I. It includes a database with thousands of records of soldiers who trained at Camp Greene and of people from Mecklenburg County who filled out draft registration cards. 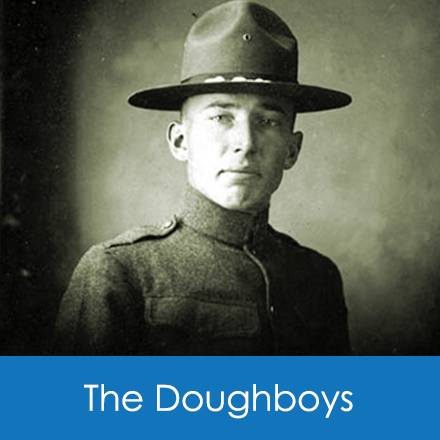 These records plus numerous other sources create a name-searchable database to assist historians and genealogists to learn more about men and women who served in the military, registered for the draft, or performed other patriotic duties in Mecklenburg County, North Carolina. The James C. Dowd home, built in 1879, is one of the most historic houses and properties in west Charlotte. 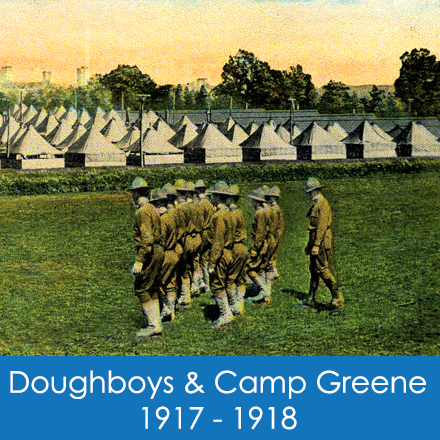 It served as a temporary headquarters for the military at Camp Greene and was later used as its construction headquarters. People all over the world are now able to take a virtual tour of the downstairs and the grounds. 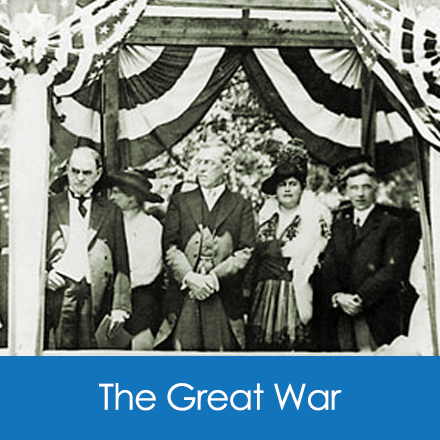 Miriam Grace Mitchell and Edward Spaulding Perzel tell the role of Charlotte and Camp Greene during World War I in The Echo of the Bugle Call. You may read this book in its entirety on this website. 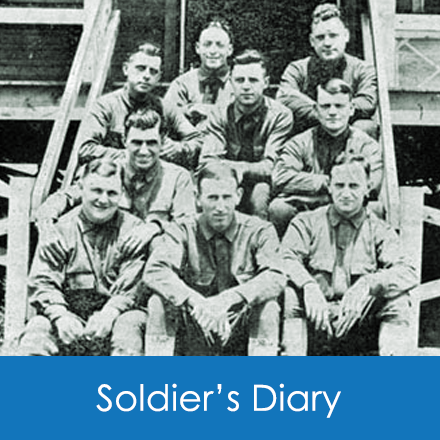 Read the diary of Private Willard Newton, a soldier in Company F of the 105th Regiment of Engineers and the Hornets' Nest Riflemen which shows the daily life of adventure, fear, hardships and boredom of a World War I soldier. This diary was reprinted as a series in The Charlotte Observer in 1920. 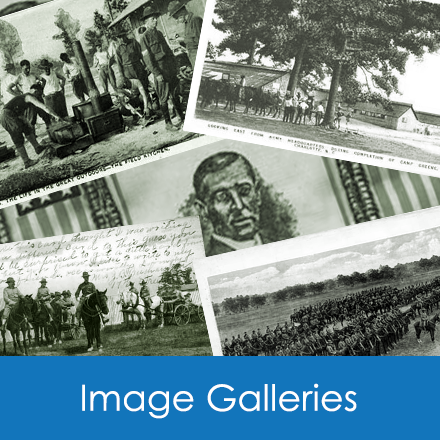 Browse our Image Galleries to learn more about World War I, Camp Greene and Charlotte, North Carolina during this period. 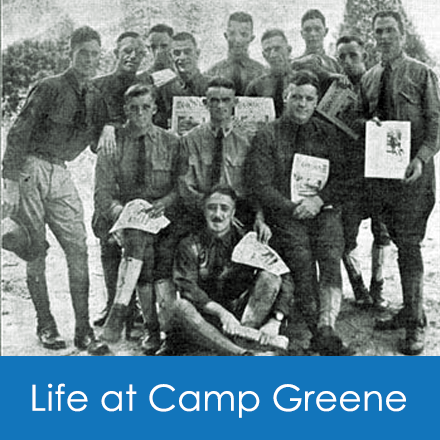 Even though the time period of American's involvement in World War I was short, Camp Greene, which resulted from our civic leaders' efforts, made a huge impact on the economy of the area, the exposure of the citizens to people from other parts of the country, and the growth of the county, particularly on the west side. 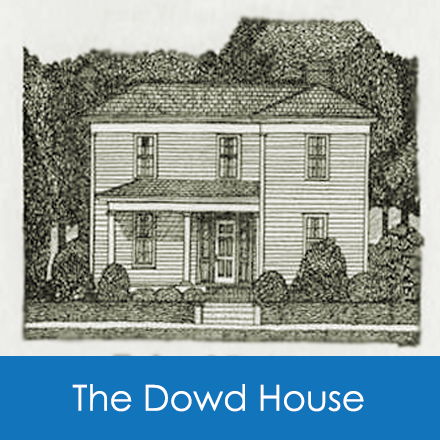 This project is dedicated to David Ritch, who helped preserve the Dowd House and was its caretaker until his death in October 2001.